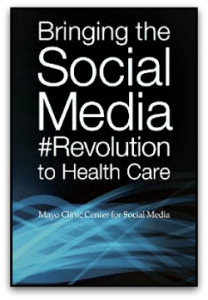 Editor's Note: This essay is part of our weekly #TimeLessWisdom series, in which we're highlighting one of the contributions from our 2012 book, Bringing the Social Media Revolution to Health Care. Learn more about the series. Some have declared blogs dead in the age of short-form communication platforms like Twitter, but if you really look closely, many tweets and Facebook posts link to longer-form content. Blogs will always have a prominent role in the social media tool kit for health care professionals. Blogging encourages versatility by offering options for embeddable content and remixing different media to create an impact more powerful than using text alone. The challenge is always being entertaining enough to keep readers interested but thoughtful enough to show that you’re making salient points about complex medical issues. As a health care blogger you’ll need to choose your target audience and aim the content to the right level. After all, there’s a reason you won’t see shoppers picking up the latest Journal of American Medical Association for an easy read. But you can still access and engage the public by taking the topics from an issue of JAMA and writing about how they may affect your clinical practice. Health care blogging can put forward different types of voices, but the one I find the most helpful is what I term the approachable professional—friendly, engaging, conversational. You can find this voice by remembering the last time you went to dinner with clinicians and nonclinicians. The most satisfying conversation for all is when everyone is involved and no one feels alienated by lack of education or experience. This is the voice of an approachable professional and one of the more effective techniques in health care social media for several reasons. By blogging as an approachable professional, you establish yourself as a learned professional; one who actually reads the primary literature and not just USA Today headlines about medical research. This establishes trust and confidence in the clinical reader (because they don’t all read the stacks of journals on their desks) and the nonclinical reader (who expects you to read all the stacks of journals on your desk). Go ahead and add data or the scientific explanations to give your posts credibility but then review what you’ve written. Before going live, review your post to ensure that you’ve presented that information in a way that would appeal to that mixed company at dinner. If the approachable tone is there, you’re finished. If it isn’t, go back and take out convoluted sentences and jargon. Consider using metaphor to explain a complex process. You might start your post with a story reflecting the dilemma at hand. These are all simple ways to become an approachable professional, practically guaranteeing your online stock will rise and you’ll make a difference in the world beyond your clinic doors.